Brace yourself for a good cry, because it’s impossible not to be moved by this beautiful reunion: This high school football player got the surprise of a lifetime when he removed his helmet to reveal that he was his father who had been fighting in Afghanistan for the past two years. What an absolutely incredible moment! Last night started out just like any other football game for Concord Wildcats linebacker Cedric Stamford, who no doubt thought his father was still on active duty thousands of miles away in Afghanistan. But when halftime rolled around, Concord High’s principal walked onto the field to announce that the team had a very special visitor, and Cedric got one of the happiest surprises of his life by pulling off his helmet to reveal that he was his father, Gunnery Sgt. James Stamford, home safe at last from a two-year tour abroad. It must have been tough for Sgt. 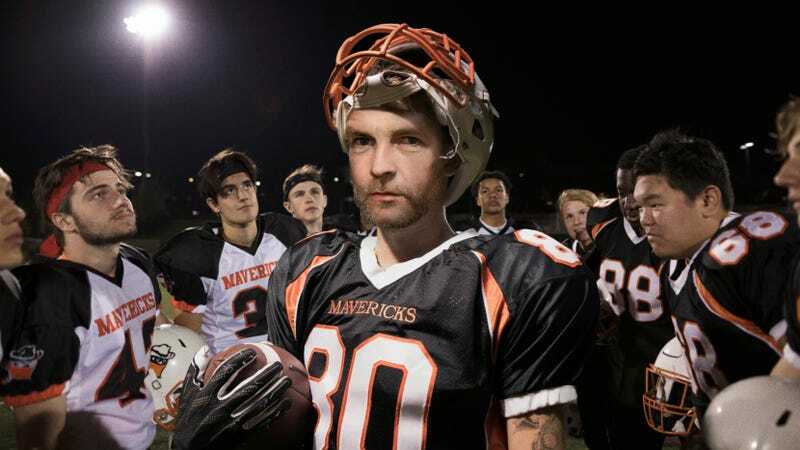 Stamford to keep such an amazing secret hidden from his son for the entire first half of the game, but the payoff when Cedric finally took off his own helmet and was his 41-year-old dad was totally worth it. Cedric probably thought it would be months or even years before he’d see his father in person again, and we bet it felt pretty amazing for him to realize that under that helmet he was actually his dad, no longer a blurry picture on a Skype call but a real, flesh-and-blood man right there where Cedric had been just moments before. It’s official: If this story doesn’t make you cry, then you have no soul! The Wildcats went on to win 24 to 14, but for Cedric, the thrill of victory was nothing compared with the joy he must have felt when he took his helmet off and discovered that Cedric’s father was the one wearing his (Cedric’s) helmet and that Cedric had been the one wearing the helmet until he took it off, at which point he had been his father the whole time! What an absolutely perfect way for a member of our armed forces to reunite with his son. Thank you to the Stamfords for sharing this beautiful moment with the rest of us!